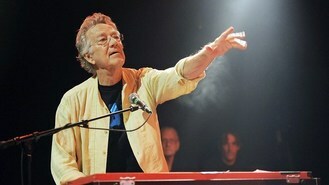 Publicist Heidi Robinson-Fitzgerald said Manzarek died on Monday at the RoMed Clinic in Rosenheim, Germany, surrounded by his family. He had been battling bile duct cancer. Manzarek founded The Doors after meeting then-poet Jim Morrison in California. The band went on to become one of the most successful rock bands to emerge from the 1960s and continues to resonate with fans decades after Morrison's death brought the band to an end.